Westin Pro Traxx 4" Oval Nerf Bars are storming the middle of the pack with steel construction, welded end caps, and a 4-inch wide step area. These durable boards feature a 30 degree bend to deflect any debris or obstructions. Whether you're on the road or off there may be obstacles, the angle of the nerf bar ends keep things from catching and damaging the board. Weather can be rough, entering and exiting your vehicle shouldn't be. That's why the Westin Pro Traxx boards come with specially designed injection molded step pads. The square lugs will keep you planted. Westin black Pro-Traxx 4" oval nerf bars mount to the inside of the rocker panel and require no drilling on most applications. Each order is sold as a pair. 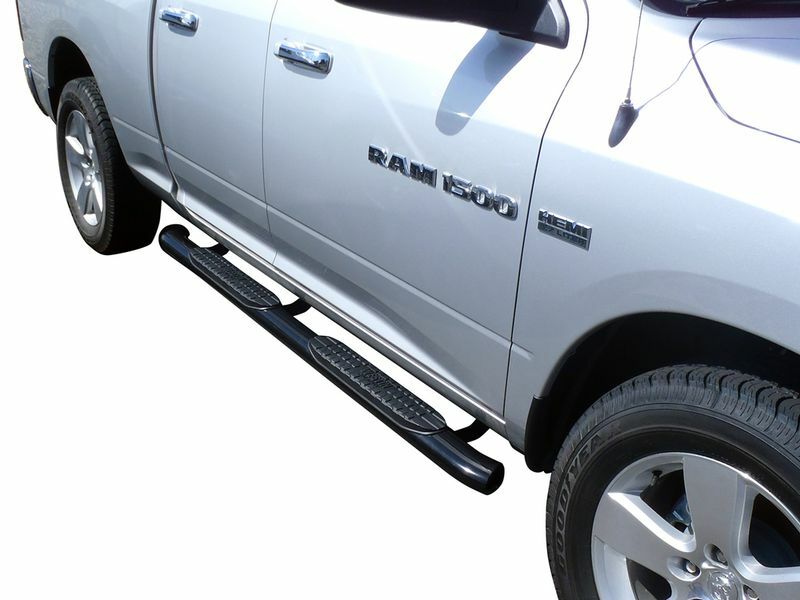 Westin Pro-Traxx 4" nerf bars are backed by a three year warranty. Installing a set of Westin Pro Traxx nerf bars is simple and easy enough to do at home without any drilling or cutting. Easy to follow, visual instructions come included along with all the necessary hardware. For additional information or if you have any questions, please call us at 1-877-216-5446 or 701-253-5906.